Custom design, manufacture, and deployment of new high performance materials for advanced technologies is critically dependent on the availability of invertible, high fidelity, structure-property-processing (SPP) linkages, according to a new book authored by Surya Kalidindi, head of MGI Strategies and Innovation Support Team member at Georgia Tech’s Institute for Materials and professor of Mechanical Engineering. Establishing these linkages presents a major challenge because of the need to cover unimaginably large dimensional spaces. 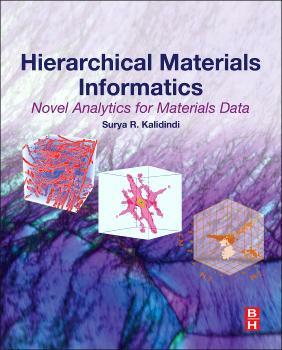 “Hierarchical Materials Informatics” addresses objective, computationally efficient, mining of large ensembles of experimental and modeling datasets to extract this core materials knowledge. Furthermore, it aims to organize and present this high value knowledge in highly accessible forms to end-users engaged in product design and design for manufacturing efforts. As such, this emerging field has a pivotal role in realizing the goals outlined in current strategic national initiatives such as the Materials Genome Initiative (MGI) and the Advanced Manufacturing Partnership (AMP). Kalidindi said he hopes his book will have a transformative effect on the materials engineering community. 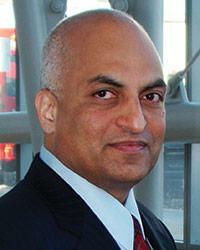 Kalidindi has joint appointments in the School of Computational Science and Engineering and in the School of Materials Science and Engineering. His research efforts during the past two decades have made seminal contributions to the fields of crystal plasticity, microstructure design, spherical nanoindentation, and materials informatics. His work has already produced about 200 journal articles, four book chapters, and a new book on Microstructure Sensitive Design. He is well cited by peer researchers as reflected by an h-index of 52 and current citation rate of about 1000 citations/year (Google Scholar). He was recently awarded the Alexander von Humboldt award in recognition of his lifetime achievements in research. He has been elected a Fellow of ASME, ASM International, TMS, and Alpha Sigma Mu.